Well it’s officially 2013 and time to ring in the new year with some new content. 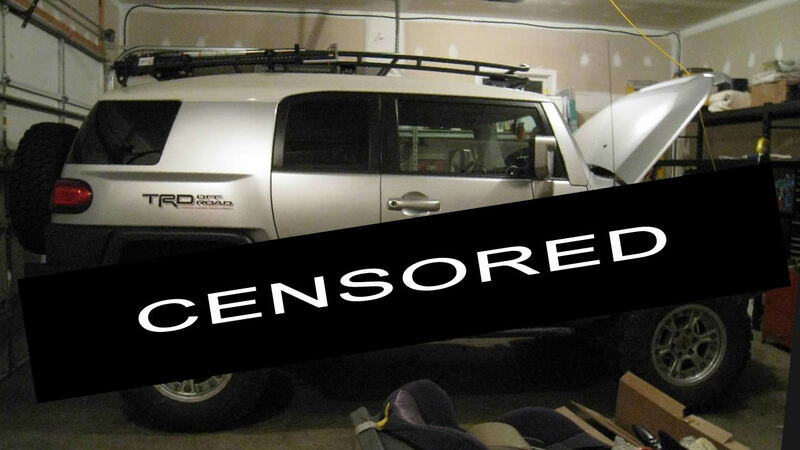 I have several alteration projects lined up for our demo vehicle, Dirthog, all of which provide the FJ Cruiser with some very useful upgrades. There are a few newer projects that are still in the ground-work phase while others are near completion or completed. Due to an overly hectic holiday schedule and other time constraints, the written portion of these projects has been somewhat delayed but should be available soon. I don’t want to go into too much detail just yet but I hope you’ll be just as excited as I am to follow along with us once the project details and photos are ready to go. That being said, I opted to do something a little different for this post. Yes, that’s correct. Poetry. In the spirit of the new year, here’s a little poetic prelude to the forthcoming upgrades. Enjoy! We’ve had tube doors and lefties and skid plates a-plenty. But this year the projects are well below twenty. So maybe we’ll settle for just three or four. Perhaps in the following months there ‘ll be more. For now let’s just say it concerns a new winch. No longer will snatching be used in a pinch. Attached to the winch, could it be a new bumper? In order to mount we must move the old pumper. Our energy levels are nearly depleted. Deploying the shop lights until crack of dawn. Removing the battery – no need for jolts. Instructions were faulty but it’s not a crime. With wires and hoses all tucked nice and neat. But wait, we’re not done yet, I see you’re enthralled. We recently mounted a fancy air chugger. The logic and reason could not be ignored. Regardless of how long you stand there and pout. We opted to purchase a brand new Oasis. I see from your eyes that you’re fairly impressed. But wait ’til you see how the air is compressed. All this and more will be ready and waiting. There’s no need to whisper and stand there debating. I hear what you say and completely agree. The best kind of projects are ones that are free*.